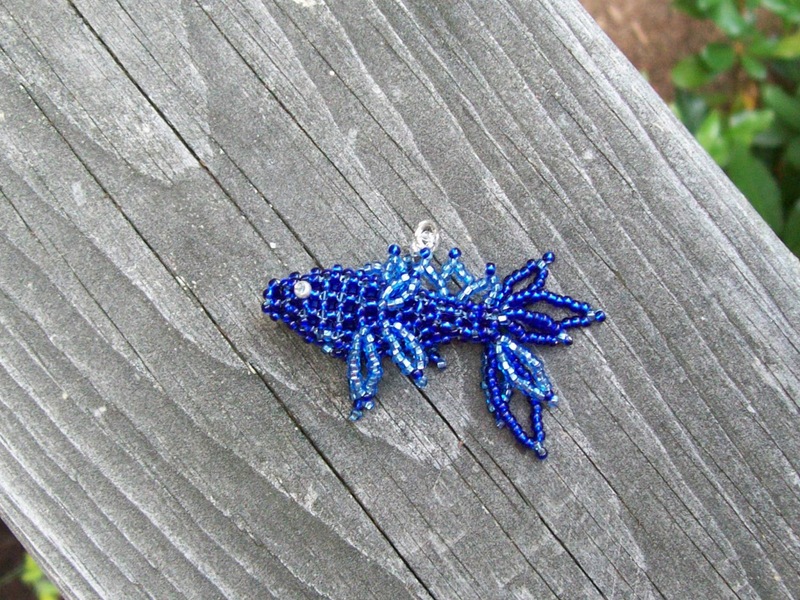 I beaded up another fish from Karen's pattern. I LOVE THESE LITTLE FISH. They really do work up fast (once you get how to do the increases, special and regular). This fish is heading down to Virginia this week for a friend of mine. I'm seriously doing more of these! 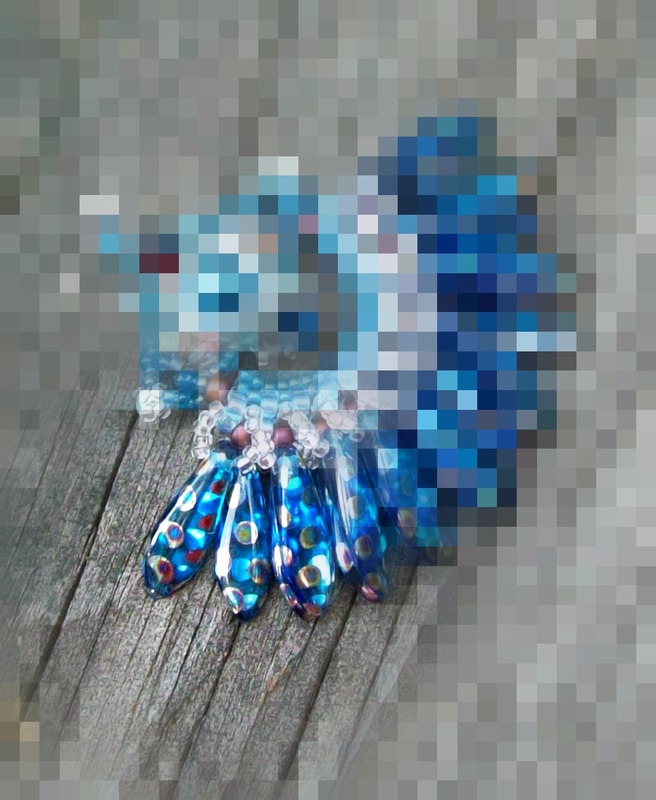 I also started one of the pieces in the Beading Babes Project 7 challenge. I decided to wrok on the 5. Yafa Petal Earrings by Penny Dixon . I do not have the pressed petals so I decided to use daggers. The reveal isn't til September 29, but here's a sneak peek! 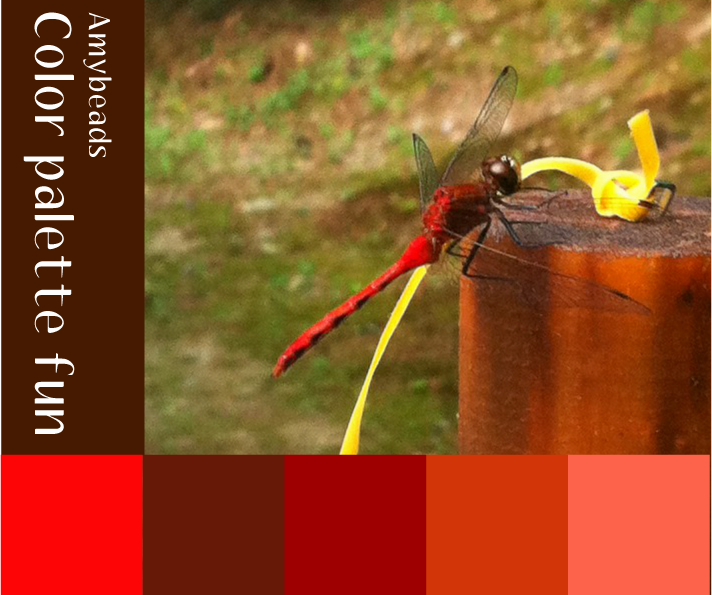 Loving the dragonfly pics! I got some pics the other night but not nearly as sharp as yours! :D I love those fishies and your new project looks pretty too. I adore the blue palette. 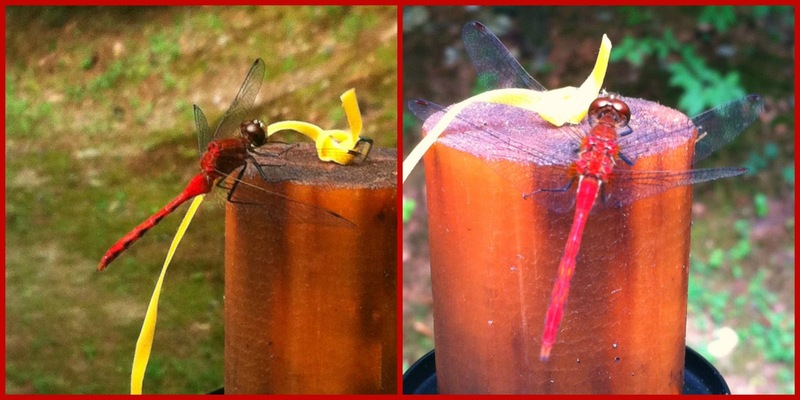 That dragon fly is beautiful. It's always so interesting to see the colors that come from a picture. Love your new little fish, too! Stay cool. I am so happy you're continuing to enjoy my fish pattern. 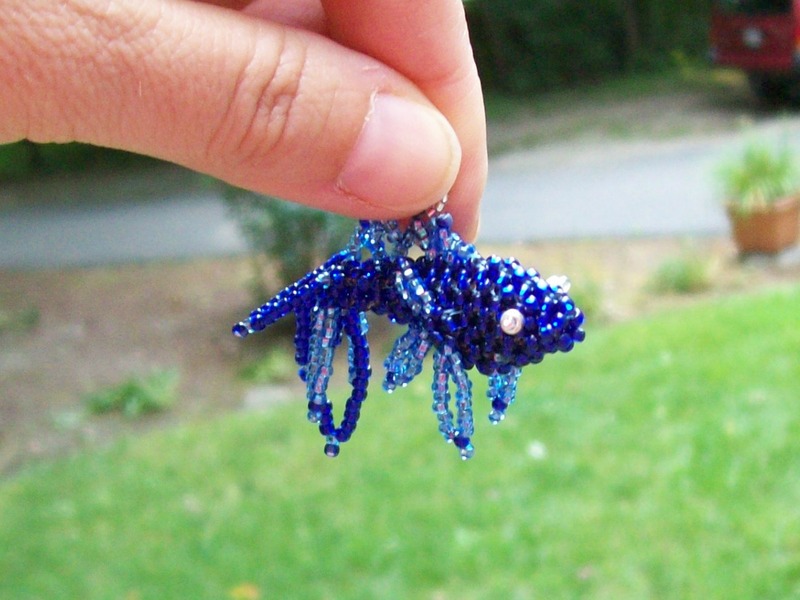 Your blue fish is soooo cute! I bet your friend will be thrilled.